All camp sites have drinking water supply, 24/7 security, toilets, showers and ELSAN waste disposal. For a site map showing all camping site locations, see the Event Info page. Please note all camp sites close on the Sunday at 2pm. 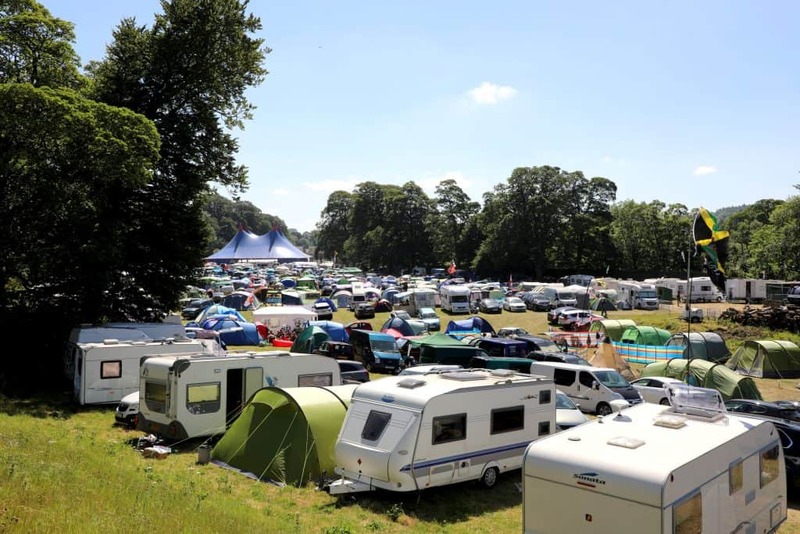 1) Motorhomes/Caravans/Camper Vans/Live-In Vehicles, 2) Tents, 3) Car Parking and 4) Scooters and tents. 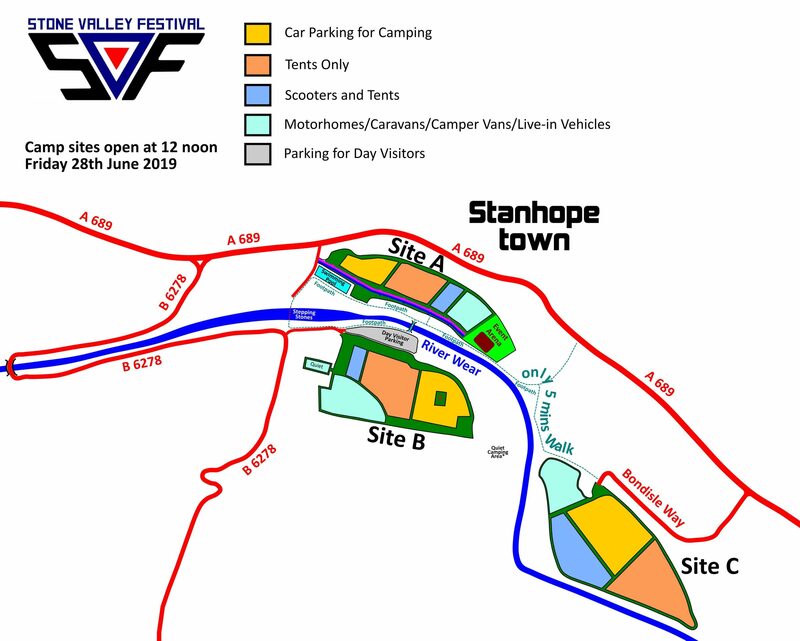 There will be a team on each site with trolleys, to help you unload your camping gear, and if in a tent with a car, your car will be parked close by next door in the secure car parking section. Site B is the larger site and recommended for people looking for a quieter pitch and with lots of space for big motor homes or caravans with awnings, etc. Camp Site C has just been announced with a limited number of tickets available. The ‘Home of the Festival’ where all the action is, with the main marquee and entertainment area, food and traders stalls, portable toilets and mobile showers, all on here. This Site A has now sold out. A spacious, quieter area, fully secured with permanent fixed toilets and washrooms, plus shower units. Right next to Castle Park, it’s literally just a minute’s stroll across the bridge from the main site. This is ideal for people who want to be right next to the action, but in a quiet camp site - the best of both worlds! Site B is now sold out this year. An extra camp site that's another spacious, quieter area, fully secured with permanent fixed toilets and washrooms, and only a short stroll of less than five minutes from the main music site - see location on the map opposite. Are charged per person and include free vehicle parking in the secure car park. Under 16’s are FREE but tickets are limited to 2 per Adult ticket order and must be booked when ordering Adult tickets. When ordering tickets please make sure they are booked for your preferred camping site. 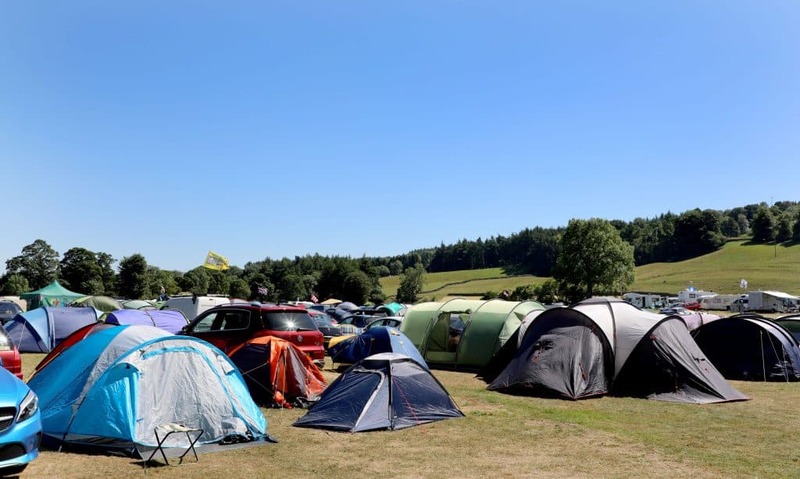 A Permit for all vehicles used for camping must be pre-booked when ordering camping tickets. Due to space restrictions on the Main Site A (Castle Park) there is a £10 surcharge and limited numbers available, but there is no surcharge on the Site B Showground. As always, camping and day tickets will be strictly limited on a first come first served basis and the ticket prices have remained the same. The team who run SVF really care about the festival and can promise you fantastic live music, scooters, a great, friendly, festival atmosphere, and a brilliant weekend that everyone can afford. 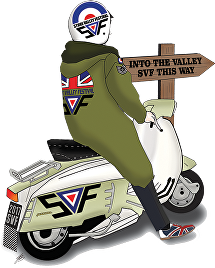 We're really proud of SVF and we know you love it too. Don’t miss it and we’ll see you there! STONE VALLEY FESTIVAL NORTH'S FIRST 7 BANDS ARE HERE (CLICK BELOW) WITH THE REST ANNOUNCED ON 7TH SEPTEMBER.